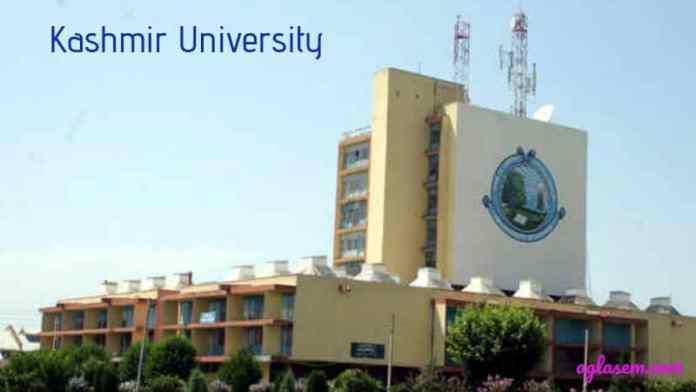 Kashmir University Admit Card 2019 has been released at the official website of the university, www.kashmiruniversity.net. Students can download University of Kashmir Admit Card from this page. Kashmir University Admit Card can be downloaded either by providing “the University/Board Registration Number or Form Number”. Students must download and take the printout of the admit card. Kashmir University Admit Cardis very important for appearing in the exam. The University Board shall not allow the students to appear in the exam without the admit card. Also, carry a valid id card along with the Admit Card on each day of the exam. The University releases the admit card for all eligible candidates. Kashmir University Admit Card holds the information of the student appearing and of exam centre. Students need to submit the exam form for appearing in the exam. Kashmir University Date Sheet is available on the official website. Check the table for Kashmir University Admit Card. Admit Card: Students can download Kashmir University Admit Card at university official website. How to Download Kashmir University Admit Card 2019? Students can download their Admit Card through the link provided in the table. Click the link mentioned above and follow the steps mentioned. Select any one of the option Registration No. or Form No to download the admit card. Note: In case of Discrepancy/Variation found on the admit card should be intimated to concerned college/department within the 7 days. Check the printed details on Kashmir University Admit Cards. Kashmir University Admit Card is the most important document for appearing in the exam. The university releases the admit card for all the eligible students. The students need to carry the admit card on each day of the exam. Kashmir University Admit Card holds the information related to the student and the exam centre. The examiner in the exam hall will examine the admit card and after the complete verification allows the student to write the exam. Students should not damage their admit card. Students show carry admit card along with valid id card on the day of the exam.